Pham Hung Boulevard, Hanoi-Taken by DVGiang, originally uploaded by Kiva.Dang. Owners of old apartments in the capital city of Ha Noi have found themselves sitting on increasingly valuable pieces of real estate. Le Hoang Nam, the owner of a unit in a Giang Vo apartment block, wanted to sell his third-floor apartment to buy a new one but decided against it when he found out that the apartment block would soon be upgraded. “Last year, I intended to sell my apartment for VND850 million [US$47,000] but someone offered to buy it for VND2 billion [$112,000],” Nam said. Nam is one among thousands of old apartment owners who suddenly became dong billionaires when the city of Ha Noi announced plans to renovate and rebuild all of them through the year 2015. The city’s decision has warmed up the local real estate market, turning old apartments into goldmines. Investors are trying to snap them up because they believe they can earn big returns once the buildings are renovated. Demand for older apartments has risen by about 40 per cent, according to a report from the Ha Noi Golden Land Joint Stock Co. The real estate sales manager of Energy and Mineral Joint Stock Co, Ngo Duy Hai, suggested that the reason for the spike in value of these properties was the official compensation policy. For every square metre of old apartment, an owner would receive 1.3 sq.m of new apartment when the building was renovated, Hai said. 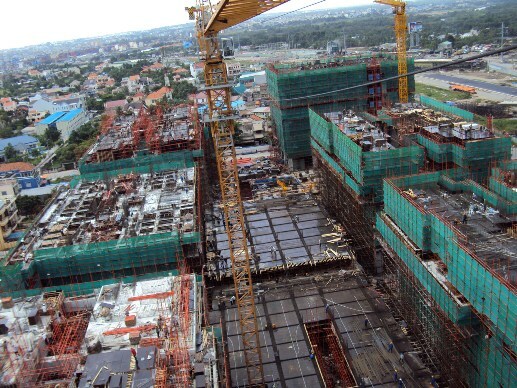 Tran Trong Hieu, investment director of the International Investment and Urban Development Joint Stock Co, dismissed the idea that infrastructure was a factor in the rising value of these units. Luis Vuitton Store, Opera View Building, Saigon, originally uploaded by Kiva.Dang. Unlike the office leasing market, now quiet because of low demand, the leasing market for upscale store sites in Ho Chi Minh City has remained bouyant even in the economic downturn, reports the Saigon Economic Times. Like their counterparts in the in big urban areas of other countries, Vietnamese consumers shop more and more at high grade shopping centres, the domain of products with international brand names. According to an executive of Savills Vietnam, a real estate service broker, the tendency can be seen more clearly in markets like where young people account for a large fraction of the population — like in Vietnam. 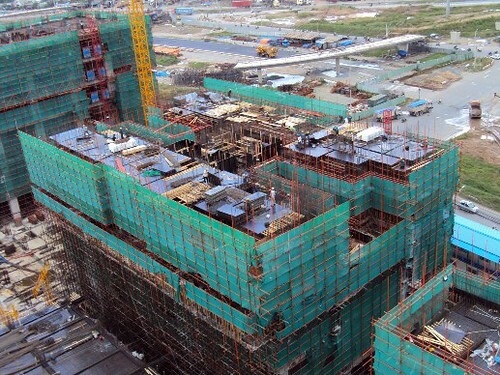 In a special report on the Vietnamese real estate market, Savills pointed out that at the lowest point of the global crisis, the fourth quarter of 2008, Vietnamese consumers hardly broke stride. They continued to seek out internationally known products and to go shopping at modern trade centres, like their counterparts in developed countries. 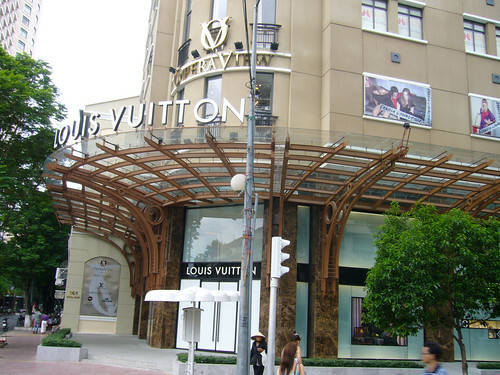 Sales of Louis Vuitton brand fashion products on the day its shop at Ho Chi Minh City’s Opera View building opened two years ago reached $750,000. 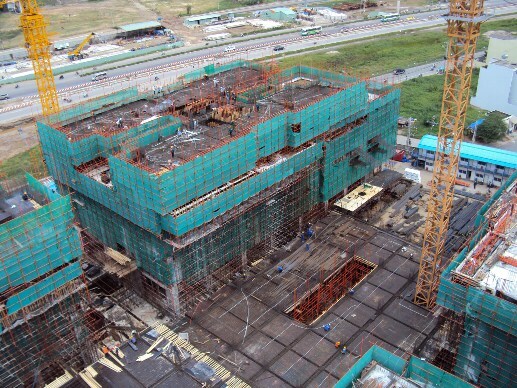 A senior manager of the Him Lam Real Estate Corporation said his corporation will begin construction of a high grade trade centre in HCMC’s District 7, calling it the ‘model of modern shopping for people with money.’ Meanwhile, CB Richard Ellis (CBRE), another real estate broker, also forecasts big, sustained potential for sales of ‘flashy and expensive’ goods in Vietnam’s retail market. Products with international brand names continue to be offered – and sold – at prices higher than in other countries. The manager in charge of leasing retail premises at Saigon’s newly renovated Eden Mall confirms that most buyers of deluxe products are Vietnamese consumers, not tourists or foreigners. Marketers of brand name fashion products, who study the consumption habits of wealthy urbanites, hunt relentlessly for beautiful, empty retail premises in big cities. 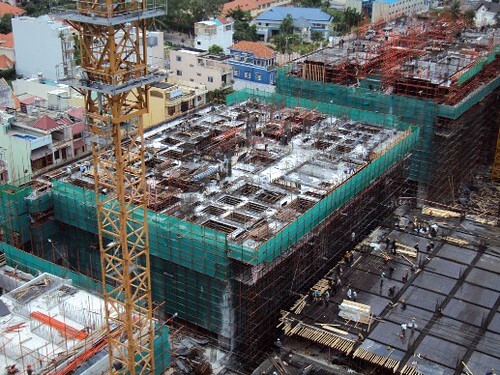 In HCMC, there’s a growing shortage of such sites. Many Vietnamese real estate developers share the Savills executive’s view that domestic retailing should be developed to the point that Vietnamese shoppers are not tempted to go abroad to spend their money in places like Thailand or Singapore. 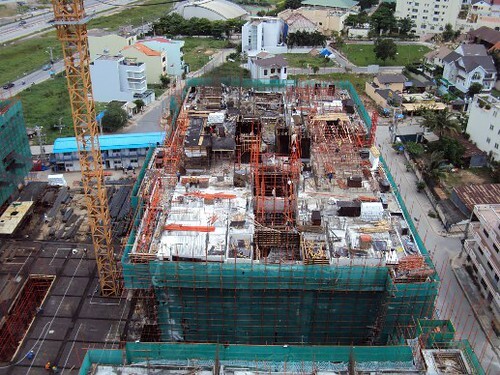 In HCM City, a number of trade centres are under constructin, including Kumho Asiana Plaza and the Vincom project. The Saigon Paragon shopping centre opened its doors to customers late in June. Savills predicts that HCM City will have 1.1 million more square metres of high standard retail premises in the next four years. 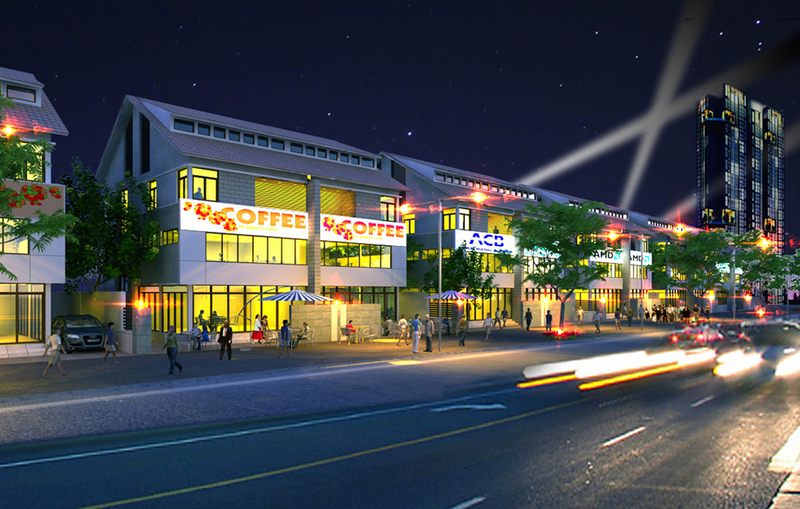 CBRE’s estimate is that 1.35 million square metres of new retail premises will be ready by that time. Fifty percent, it notes, are already under construction. Some analysts believe that the massive investment in retail premises will push down leasing fees that have gone sky high. However, real estate developers show no worry about that. The Him Lam manager said that if the area of retail premises is compared with the number of people able to buy, it’s evident that the ratios are still very low in HCM City and in Hanoi as well. 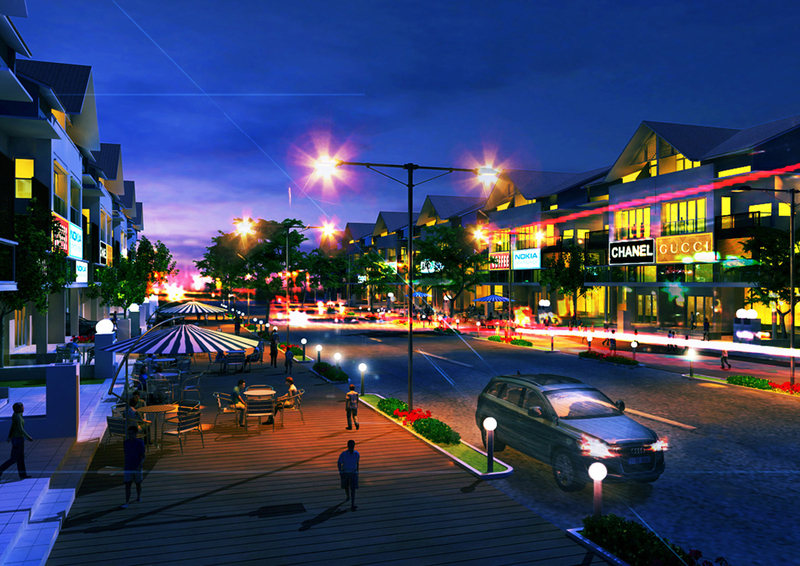 The Eden Mall exec believes that leasing fees for well-sited premises can only increase. Observers have put forward three scenarios for the retail stores real estate market for the next several years. In the first scenario, Vietnam opens the retail market’s doors widely to wholly percent foreign-owned retailers. In this case, domestic retailers can obtain international experience in management and brand name development from foreign retailers. This will help domestic retailers improve their technology and business efficiency, while setting up new standards for services and products on the market. In the second scenario, there continue to be restrictions on foreign retailers, i.e., limits on opening new retail branches, which will incline them to become consultants or managers for domestic retailers. An executive of the firm that owns Hung Vuong Plaza Trade Centre said that the second scenario will benefit domestic traders and domestic projects. She believes that in this case, many Vietnamese investors will seek relationships with foreign investors. In the third scenario, it is posited that Vietnamese investors will occupy all advantageous retail positions, supported by a closed-door policy vis-à-vis foreign retailers. The Him Lam Company executive doubted the third scenario would happen. If it did, he said, it would be a catastrophe, preventing the upgrading of the domestic retailing industry that is needed in the context of Vietnam’s deeper integration into the world. Kim Long Luxury Villas, originally uploaded by Kiva.Dang. A new set of luxury villas for the fabulously rich went on sale in Ho Chi Minh City on Wednesday. 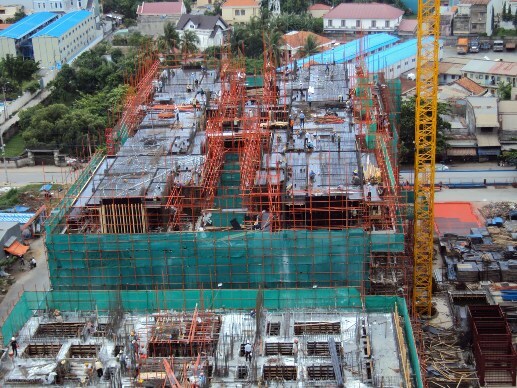 The 43 villas, being built in Nha Be District are being offered up for sale by developer Phu Long Real Estate Corporation, for VND11 billion (U$643,000) each. In a country where the average wage-earner takes home US$1,024 per year, it would take the majority of Vietnamese 628 years to purchase the French-themed villas. Singaporean consultancy and township development company Surbana, is building the villas, which are part of the 24-hectare Kim Long Luxury Villas development near District 7, Saigon Times reported. The project, due for completion next year, is one of the 14 developments being rolled out by Phu Long as part of its $1 billion Dragon City. Dragon City, covering an area of 65 hectares, includes villa areas, apartment buildings, shopping and recreation centers, office towers as well as facilities for schools, clubs, and health care. Hotel guest at Marriott hotel and Ritz Carlton, originally uploaded by Kiva.Dang. The global economic downturn and swine flu could put a big dent in hotels’ profits. According to General Statistics Office, foreign direct investment for the first half of 2009 was only $8.9 billion, a strong decrease of 77.4 per cent compared with the same period of last year, while the Ministry of Health last week also confirmed more than 400 cases of swine flu infections in Vietnam. According to Vietnam National Administration of Tourism, the country received 1.9 million international travellers in the first half of the year, a 19 per cent decrease year-on-year. This negative trend in international travel is expected to hurt five-star hotels the most and not any hotel has prospered in the current market. CBRE managing director Marc Townsend said it could be another six or 12 months before Europeans started travelling again. According to CBRE, occupancy rates were down across the whole sector with five-star hotels down 15 per cent year-on-year to 50 per cent while four and three-star hotels were both down 25 per cent year-on-year to 39 and 43 per cent occupied rates respectively. Average daily rates also fell year-on-year but not as much as expected. Five-star hotels only declined 3 per cent year-on-year to and average daily rate of $150 while four-star hotels fell 10 per cent year-on-year to $67 and three star hotels only fell 5 per cent to $37. “Our suggestion for hoteliers is to closely catch up with the market’s changes as well as being flexible in the rents,” said Townsend. Nathan Cumberlidge, head of Colliers International’s Market Research and Valuation Department, said the tourism industry should begin to recover in 2010. “The market is, however, becoming more competitive with a number of large chains entering or expanding in the market such as Novotel, Intercontinental and Marriot,” Cumberlidge said. 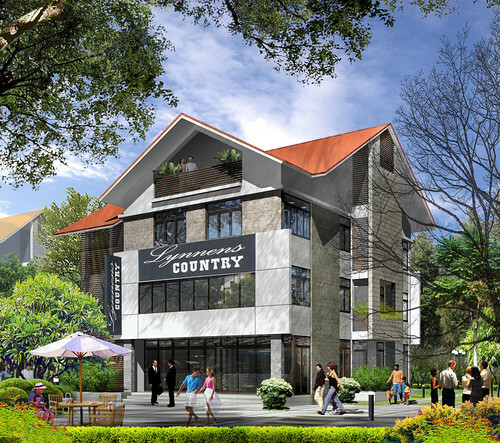 “It can be seen with five-star hotels in Hanoi moving away from the traditional Hoan Kiem and West Lake location looking to take advantages of the business and conference community in the new central business development area,” he added. Five-star hotels due to come on line in Hanoi include the 630-room Hanoi Plaza Hotel, 350-room Crowne Plaza Hotel, 383-room Intercontinental Landmark hotel and the 300-room Time Square hotel. The Hanoi Administration of Tourism targets two million foreign visitors to Hanoi in 2010, implying a requirement of approximately 24,000 hotel rooms, 6,800 of which will need to be of four or five-star quality. According to CBRE, Hanoi now has 5,784 three, four and five-star hotel rooms. Of those were nine five-star hotels with more than 2,830 rooms. 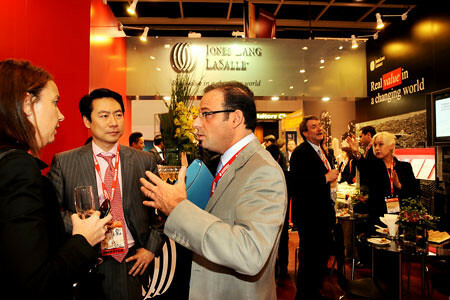 MIPIM ASIA 2009, originally uploaded by Kiva.Dang. MIPIM Asia is an exciting conference and exhibition event focused on real estate in Asia Pacific. It has been designed to encourage western investment and to facilitate deals across Asia Pacific between local investors. MIPIM Asia provides the professionals from the industry with a unique insight into the Asia Pacific market with world class conferences and an exceptional showcase of development projects from the region. Why Participate in MIPIM Asia? The U.S. market has ample inventory, but domestic sales are down. Combine this with a weaker dollar against Asian currencies, and this is the perfect scenario for increased Asian investment. In a tight market, your members look to maximize every dollar and may be asking what the Association is doing to help counter the domestic market slowdown? Working to attract a new source of buyers into the market is a pretty good response. Strengthening alliances with area economic development boards is a win-win and provides a longer-term payoff than just one event or for a specific group of members. With foreign direct investment into the U.S. on the rise, those U.S. states actively seeking the money will do so. Asia is on the rise. According to the International Monetary Fund the U.S. dollar is now closer to a sustainable value than it has been in a decade, while the euro is overvalued. The U.S. – Asia imbalances are the result of years of heavy U.S. consumption matched by equally heavy Asian savings. Such imbalances are potentially dangerous as if foreign investors’ appetite for U.S. assets ever slackens, it could trigger a sharp fall in the dollar before causing interest rates to jump. The dollar’s decline is a key element in putting the global economy on sounder long-term footing, making U.S. products less expensive for foreign buyers. (USA Today). For more information about why to participate in MIPIM Asia, visit the MIPIM Asia Web site. Red River development – map, originally uploaded by Kiva.Dang. Hanoi’s city government is asking the Prime Minister to authorize a visionary plan for development of the banks of the Red River from north of the airport bridge south to the Bat Trang pottery village. The costs would be financed by Korean private sources and development assistance funds. 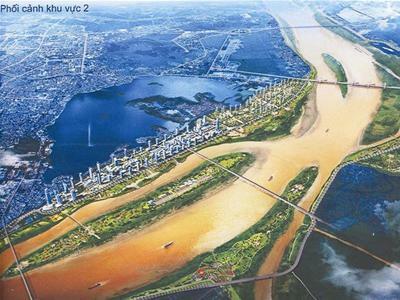 In South Korea, on July 29, Hanoi Mayor Nguyen The Thao and Seoul Mayor O See Hoon signed an agreement on further technical assistance by Korea to the second phase of a controversial US$7 billion development project along both banks of Hanoi’s Red River. Experts have said that the problematic parts of the visionary project are raising capital and site clearance. The project needs more than $7 billion of investment and 170,000 people have to be moved between now and 2020. Seoul City Planning Department head Song Deuk Boum told reporters that the money problem has been solved. Many Korean investors are willing to participate in this project, he explained, so the remaining problem is how to relocate the 39,000 households who now populate the Red River flood plain as it passes through Hanoi. The developers propose to build a new 42 kilometer dike on the river’s eastern side and upgrade the current 33.8km dike on the river’s western side. Discussion of the Red River development plan began in 2006. Vietnamese and Korean experts presented a draft plan in 2007. The plan envisions a new urban center rising on either side of the river, an area of international financial buildings, high-class apartment buildings and parks, and ample green space. Now, with a technical assessment completed and the concept agreed in principle, a detailed plan including its financing scheme will be prepared for review by Vietnam’s National Evaluation Council and eventual consideration by the Prime Minister’s Office and the National Assembly. The plan addresses four areas, totalling 2462 hectares. 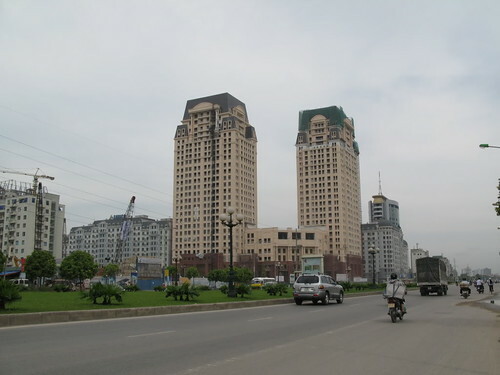 Zone I is from Chem to the Thang Long (airport) Bridge; Zone II from the Thang Long Bridge to the Chuong Duong Bridge that links central Hanoi and Gia Lam; Zone III from the Chuong Duong Bridge to the new Thanh Tri Bridge; and Zone IV from the Thanh Tri Bridge to Bat Trang, the pottery village. Zone II is the heart of the project. It is also divided into two zones. Zone II-a, 500 hectares, will be densely developed with international hi-tech zones and luxurious apartment buildings. Zone II-b, 370 hectares, will hold a residential area, stadium, international exhibition centre, tourism and entertainment zones. The plan forsees that ultimately the redeveloped riverfront will be home to 97,000 households in the future, using 50 percent of the area. It defines other sites for the construction of parks, tourism and cultural zones along the riverfront. 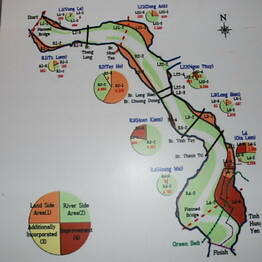 For example, Vong La would be developed into an ecological preservation area, Dong Anh would hold a complex of general sport parks, Ngoc Thuy would be a resort, Long Bien as an ecological study and discovery site, Tu Liem an riverside ecological recovery zone and Tay Ho a park for urban residents. The concept is modeled on South Korea’s combined flood control and land reclamation projects implemented along the Han River in the Seoul megalopolis. The Korean experts have proposed estensive measures to control flooding, ensure drainage and stabilize the riverbanks. If the plan goes forward, about 4,500 households living between Chem and the Thang Long bridge (Zone I) will be relocated by 2012. 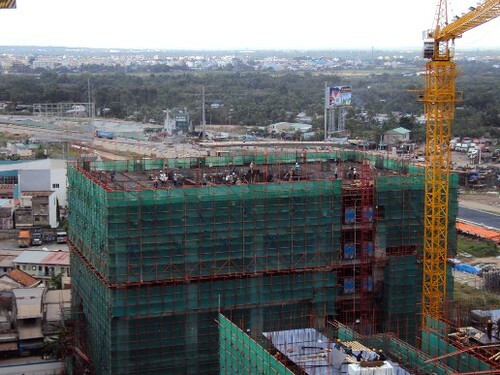 About 23,900 households living from the Thang Long bridge to the Thanh Tri bridge (Zones II and III) will be relocated between 2013 and 2016, and 6,700 between the Thanh Tri bridge and the Bat Trang Pottery village (Zone IV) from 2016 to 2020. Of the total capital required for this huge project, $7.1 billion, $1.9 billion is earmarked for construction and $1.6 billion for site clearance and compensation for local residents. According to Korean experts, funding for the project will include both private capital and Korean government assistance. Payback will be realized from the sales of land and houses. The Hanoi Department of Planning and Architecture introduced this plan at the Trang Tien Exhibition Hall in September 2007. After nearly one year spent in collecting opinions from the people and experts, the draft plan was amended and made public in late 2008. It has been reported that 37.8 percent those who studied the model agreed with the project completely; 30.5 percent agreed with most elements of the project; 27 percent agreed with a part of this project and 4.6 percent didn’t agree at all. Many people doubted the project’s feasibility because of its huge investment capital, the number of people who have to be resettled, problems of flood control in the Red River, and environmental and cultural impacts. The Hanoi authorities determined to go ahead with the Red River project early in July. People’s Committee Chairman Nguyen The Thao formally requested to Prime Minister Nguyen Tan Dung to urge Seoul to assist Hanoi technically and financially, with a view to have the plan’s early approval and completion under an agreement between the chief executives of Hanoi and Seoul. 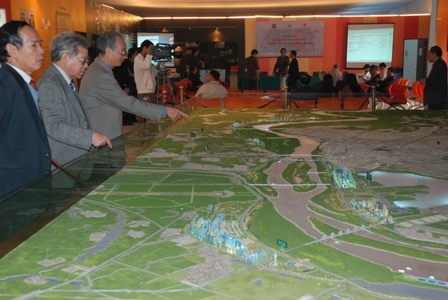 Seoul City also promised to help Hanoi clean the polluted To Lich river and organize its 1000th anniversary celebration.